Traffic volumes on the Rhine-Alpine rail freight corridor (RFC) decreased by 3.2 per cent in 2017, compared to the previous year. On the contrary, overall rail freight traffic in Europe increased, albeit slightly with two per cent. The Rastatt incident, and several construction works were the main factors of influence. 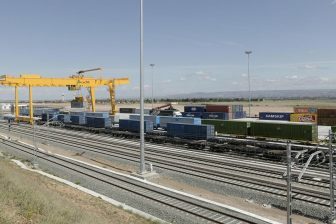 This was concluded in the annual report of the European corridor. 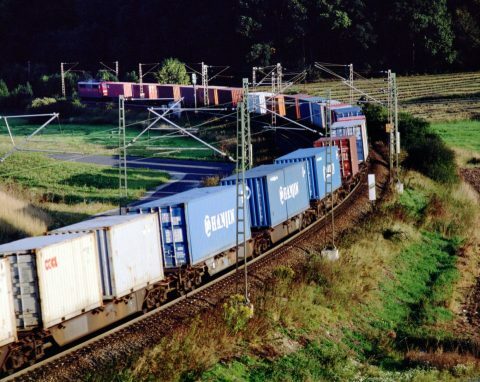 The Rhine-Alpine Corridor (RFC) is one of the busiest freight routes in Europe. It connects important North Sea ports in the Netherlands and Belgium with the Mediterranean port of Genoa, crossing through Germany and Switzerland. Traffic volumes on the corridor declined for the first time since 2012, when rail freight was still suffering from the economic crisis. Since then, activity on the freight corridor had gradually recovered. The largest decline was in traffic volumes through Basel in Switzerland. On the German-Swiss border, volumes plummeted by 27 per cent northbound and 53 per cent southbound. On the border with Italy figures dropped less significantly, but still by 13.5 and 28 per cent respectively. Surprisingly, the number surged on the Belgian-German border crossing of Aachen West-Montzen. With an increase by four per cent, it was the only border crossing on the corridor witnessing an improvement in traffic numbers. This was mainly due to good performance of the Belgian private rail operator Lineas. The Rasttat incident, which led to the closure of the Karlsruhe-Basel line for seven weeks in summer, has played a major role in the drop of numbers in 2017. The incident especially affected figures in Basel, the report reads. Trains had to be rerouted, or their journeys were cancelled. However, the decline in traffic volume due to this incident is relatively small, considering the fact it happened in summer, when the daily traffic on the corridor is less than usual. Another important factor of decline were the construction activities on the Gotthard line, an important stretch on the RFC running from Basel to Chiasso in Italy. The line is being prepared to be cleared for 750-meter trains with a four-metre profile. Currently, work remains to be done on eight of the fourteen stretches, due to which more closures are expected this year. In addition, the Ceneri Base Tunnel is under construction. 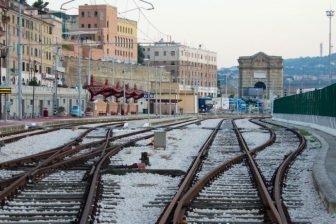 Once completed, this will avoid the proportionally steep track over Monte Ceneri, which is not suitable for high-speed rail or heavy freight trains. On 12 January 2018, 53.3 per cent of the tunnel had been constructed. Upgrades of the Swiss-Italian border crossing at Luino heavily impacted traffic volumes in 2017, due to a six months closure of the railway network around the Italian hub. The closure allowed for the replacement of rails, including lowering of the basement level, upgrade of the signalling and power systems and reinforcements of the existing structures in thirteen tunnels between Pino Tronzano, Luino and Laveno. These were the activities with the largest impact on rail freight. However, works remain to be done in 2018 and due to this, more closures are expected. The report also concludes that wagonload traffic was more affected than intermodal traffic in 2017. The decline in coal demand was cited as a factor influencing traffic volumes. Due to a revised energy policy in Germany, block trains for imported coal via Dutch ports for power plants in Germany declined by forty per cent. A decrease in volumes by almost twenty per cent was seen last year. 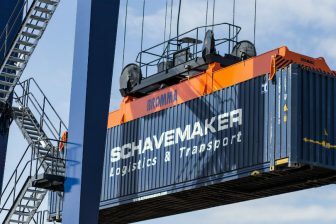 Over the same period, container and swap bodies traffic rose slightly by 1.5 per cent, and rolling highway traffic even increased by 2.1 per cent. Major volumes of wagonload traffic have also been shifted to the Brenner route, according to the report. This was especially true for traffic with heavy paper rolls between Scandinavia and Italy.